If personal trainers spent all their time correcting the mistakes they see other people making, they'd never get anything done. So when I put out the call for trainers to chime in on the subject, I was practically flooded with responses. There's just. So. Much. That workout your high school football coach taught you 20 years ago might have been appropriate at the time, but if you're still doing the same routine, it's time to make a change. Jennipher Walters, ACE-certified personal trainer and co-founder of Fit Bottomed Girls says, "In order to see changes and increase your fitness, you've gotta lift heavier, push your intervals harder and generally change it up. Doing the workouts you love is awesome, but if you want to keep progressing (and not get bored), it's important to mix things up." More: What's the Least Amount of Running You Need to Do to Be Healthy? Ladies, this one's directed at you! If you're still scared that grabbing anything other than the three-pound pink dumbbells will "bulk you up," it's time for a reality check. Dr. Dan Reardon, the CEO and co-founder of FitnessGenes (who happens to be an MD and a personal trainer), puts it this way: "Unless you're rehabbing, you can probably handle more weight. 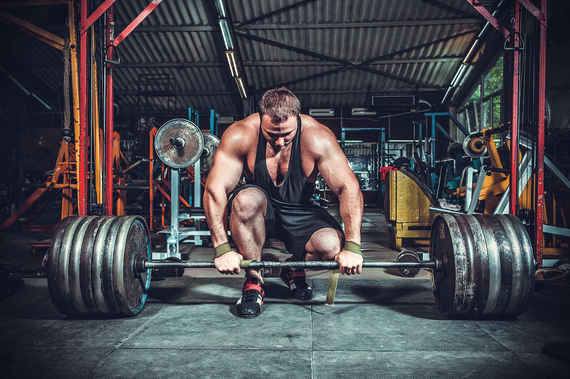 Lifting heavier weights can be intimidating, but it's key to getting the maximum fat-burning benefits of exercise." If you're not taking it too easy, you might be taking it too hard. Tamara Grand points out, "We live in a culture where bigger, more, faster, harder is viewed as better. Many people approach fitness the same way... Not surprisingly, it's these same people who fail to make progress toward their goals or are repeatedly sidelined by injuries. Adequate rest and recovery are an important component of training." If your fitness gains have plateaued and you're still in pursuit of loftier goals, it's time to work harder. Kaila Proulx, NASM-CPT and NESTA fitness nutrition coach, suggests, "Instead of focusing only on long, slow, low-intensity cardio, work to increase speed or incline. Incorporate intervals and get your heart rate up. You can accomplish a lot more and reap more cardiovascular benefits by working harder for a shorter amount of time." Jenn McAmis, ACSM-certified personal trainer, says too many recreational athletes fail to use cross-training correctly to balance their workouts: "Rock climbers tend to do back-strengthening exercises at the gym to help them climb better, often forgetting to also work their chests. Runners work on building strength in their legs while at the gym, but often forget to move laterally and work through all planes of motion." 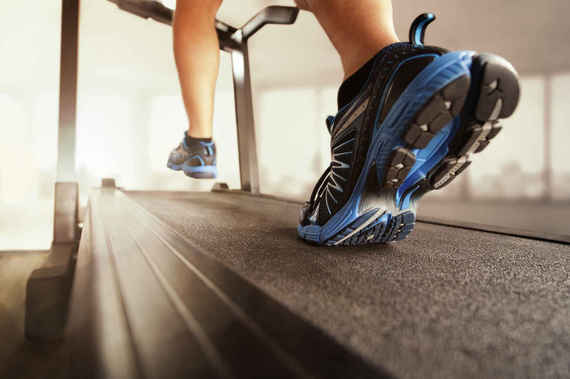 To find out 5 more mistakes you're definitely making at the gym, get the full story at Thrillist.com!